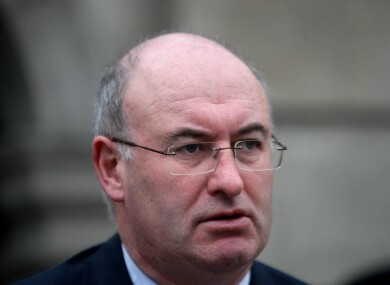 MINISTER PHIL HOGAN has reported a threat made against him last week to gardaí and is now being provided with extra protection, according to reports. A spokesperson for the minister told TheJournal.ie that he had received a threat by email last week and “he did report it to the guards”. They said that the minister did not often receieve threats though he had been sent “one or two” during the period of opposition to the Household Charge. However they added that those threats were “not like this”. A number of newspapers reported today that the email, which came from a businessman, threatened to burn down the minister’s family home in Kilkenny. They also reported that extra garda officers are now providing protection to Hogan because of the threat. A garda spokesperson said they would not comment on a person’s security detail and that reports to gardaí were kept confidential. Earlier this year a number of threats were made against the Taoiseach, mainly in relation to the abortion debate. In June, a threat was also made to assassinate Enda Kenny on a Facebook page that was campaigning to save a hospital in Castlebar. Similar threats were also made against Health Minister James Reilly over his support for the abortion legislation, with one letter threatening arson. Email “Hogan reports email threat to burn his family home to gardaí”. Feedback on “Hogan reports email threat to burn his family home to gardaí”.